Right after my friend and I left the Temple of Literature, we walked for about 20 minutes to reach the famous Hoa Lo Prison. 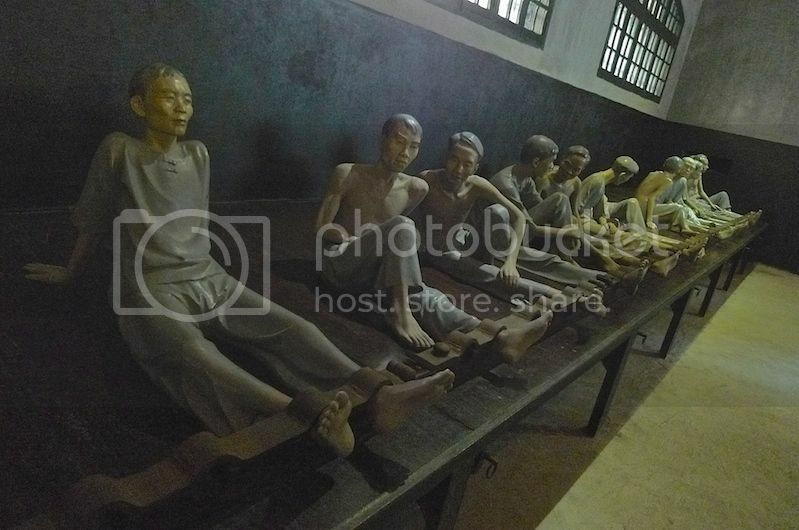 Initially, I had planned to visit Vietnam National Fine Arts Museum which is just a stone throw's away from the Temple of Literature, but my friend insisted on visiting the Hoa Lo Prison which he did not want to miss. I ended up visiting the Fine Arts Museum on my own on my last day in Hanoi. (My friend had left Hanoi one day earlier). 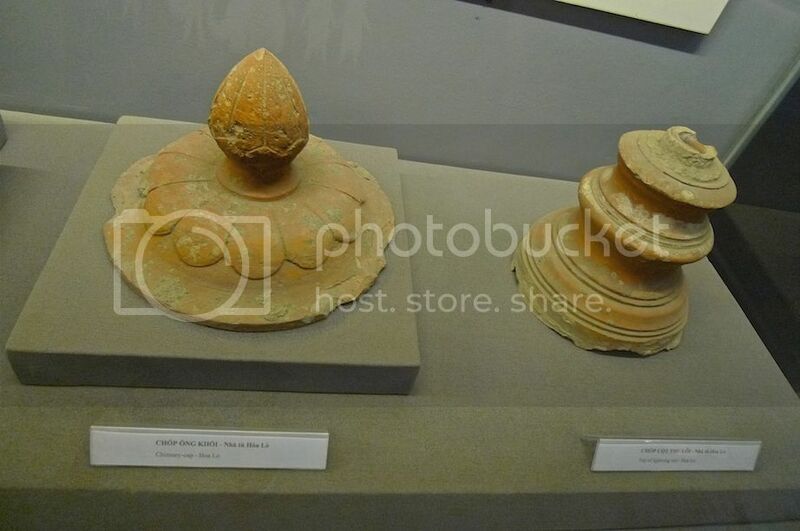 However, do keep in mind that it makes more sense to visit the Vietnam Fine Arts Museum after visiting Temple of Literature as they are located so close to each other! 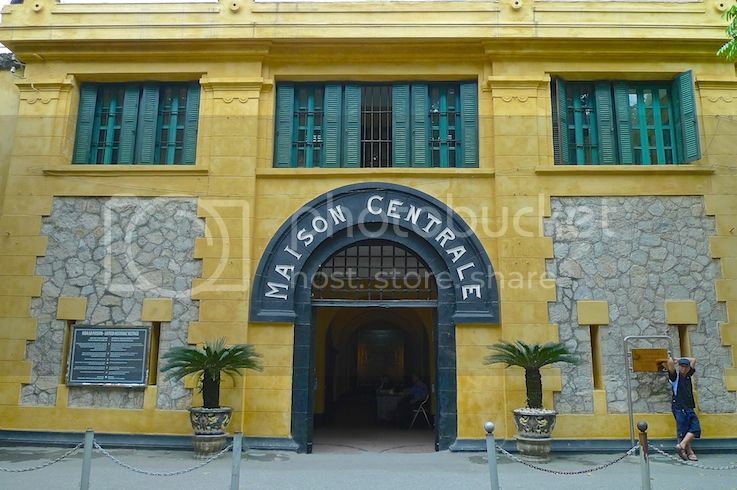 The French colonists who built the prison in 1896 called it Maison Centrale, which is the name you see above the front gate of Hoa Lo. 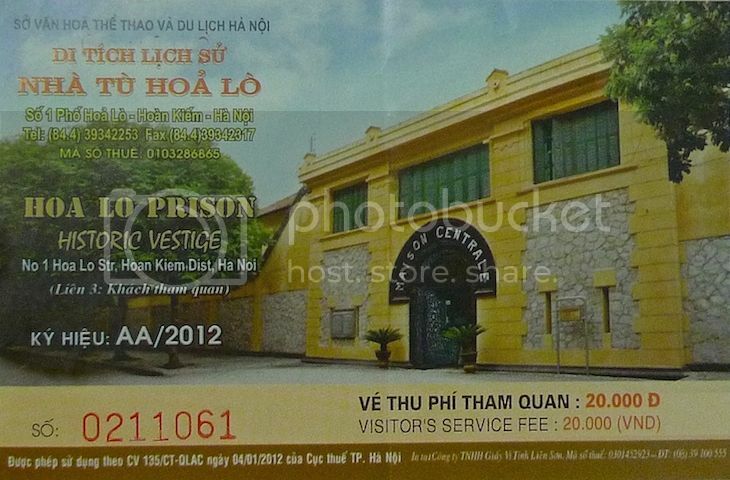 The prison is also strangely known as Hanoi Hilton (what in heaven's name has it got to do with Hilton Hotel?!) but I will get to that later. 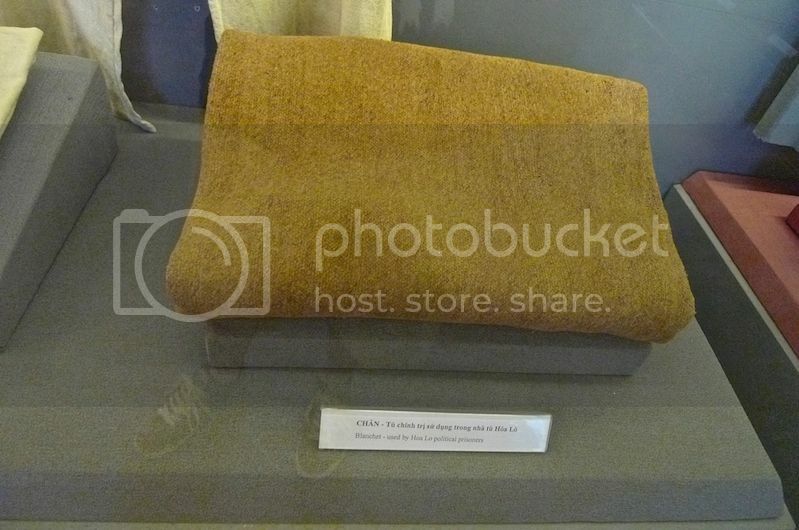 Entrance fee was a very reasonable 20,000 VND (about US$1). 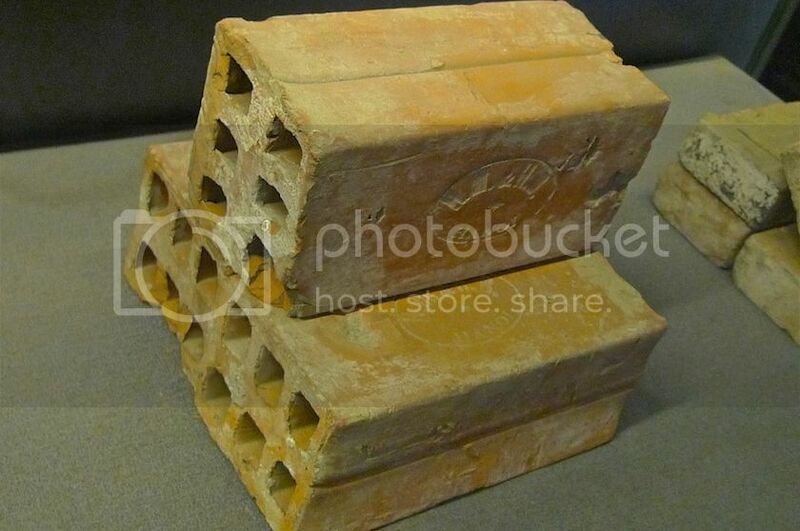 The word 'Hoa Lo' means fiery furnace or earthen stoves. 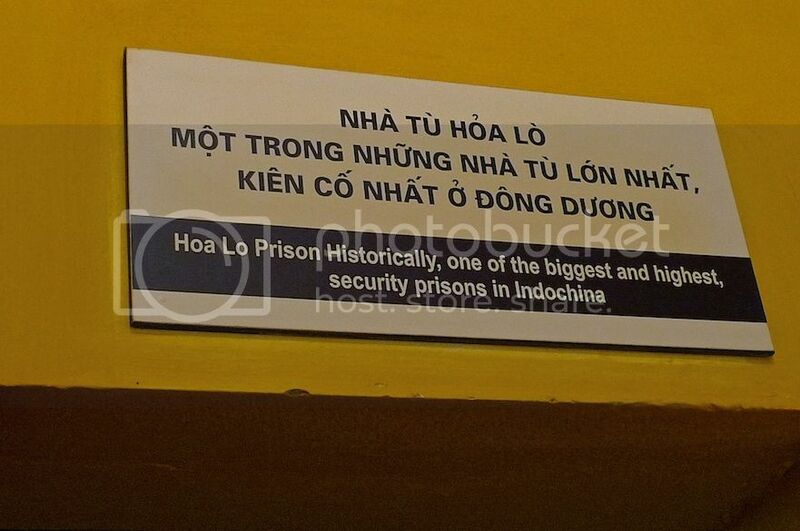 Why is the prison called Hoa Lo? Let's delve a little into its interesting history. 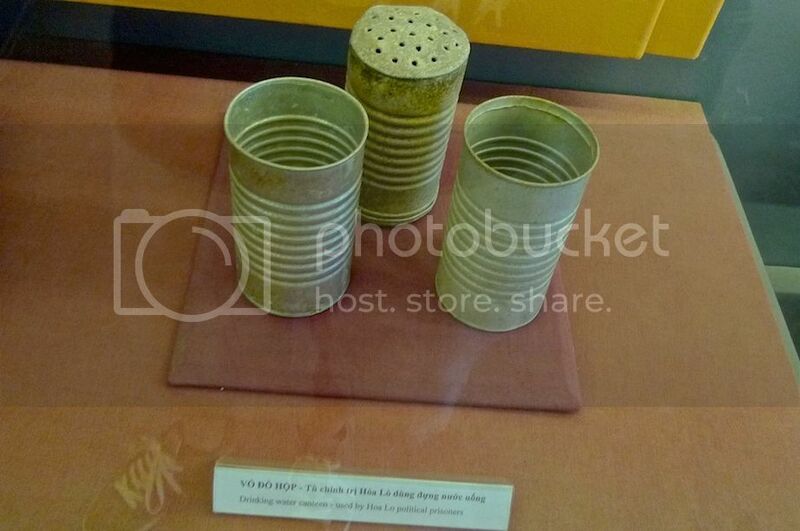 The prison was built on the land of Phu Knanh Village which was famous for its earthen home appliances like kettles, teapots and portable stoves. 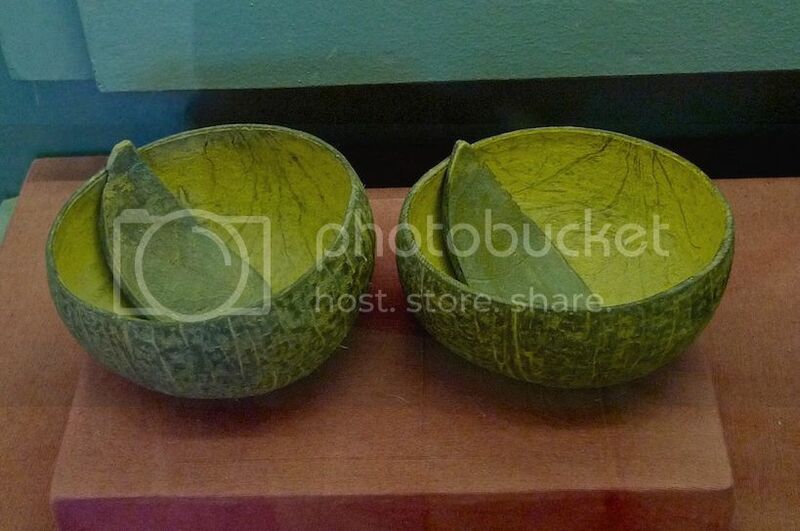 The hand-made products of Phu Knanh Village were so famous that people came from far and wide to buy them. 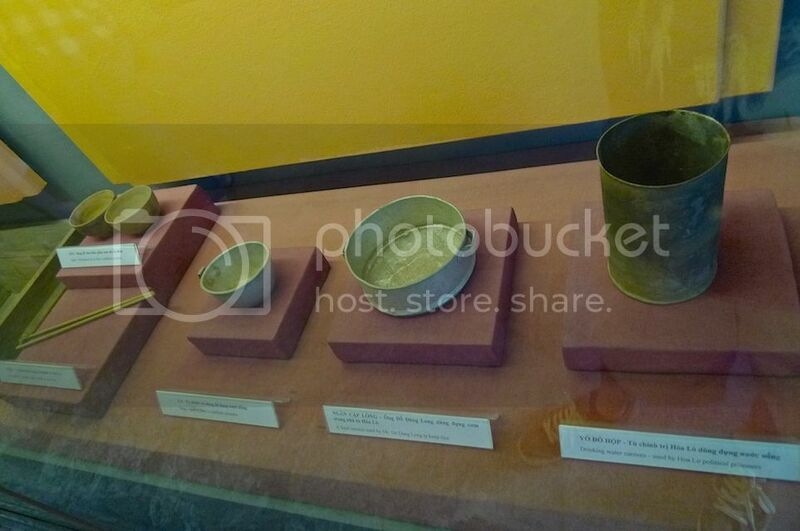 Accordingly, the village was also known as Hoa Lo Village - the village of portable earthen stoves. Phu Knanh villagers enjoyed a well-off life. That is, until the French colonists came and occupied Hanoi. They moved all the villagers, the pagodas and communal houses to other places, and replaced them with the prison, a courthouse and their headquarters. 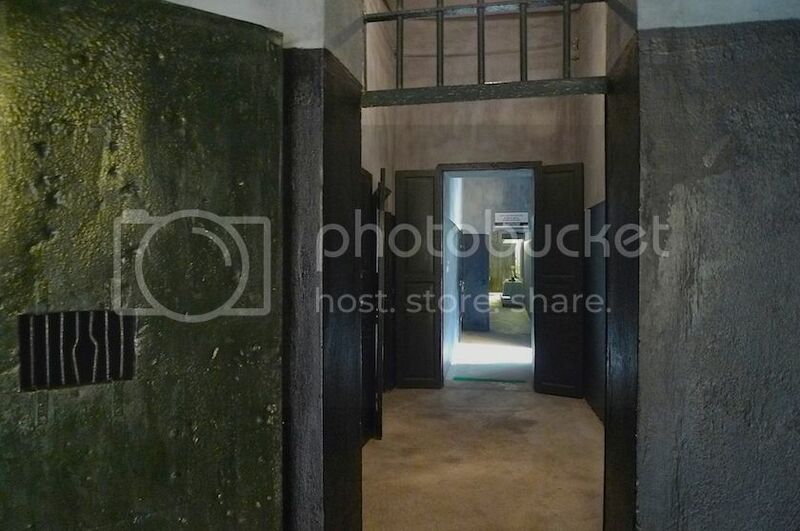 Covering a total area of 12,908 square metres, Hoa Lo Prison was one of the largest and most concrete prisons in IndoChina at that time. 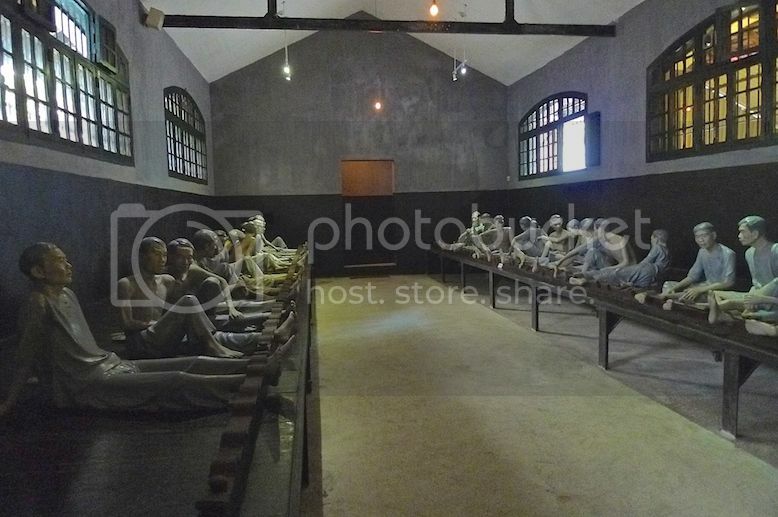 The purpose of this prison was to hold Vietnamese prisoners, especially political prisoners who were fighting for independence. 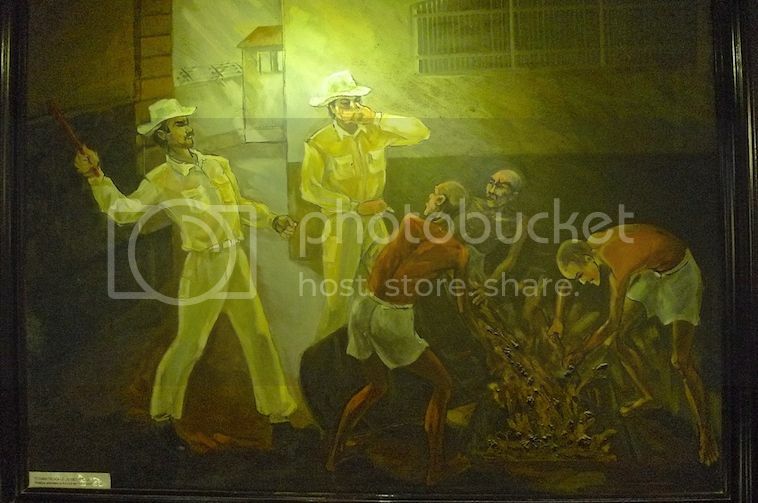 Many of the prisoners were subjected to torture and execution. A few who survived the torture went on to become important political figures in Vietnam's Communist Party after the defeat of the French. 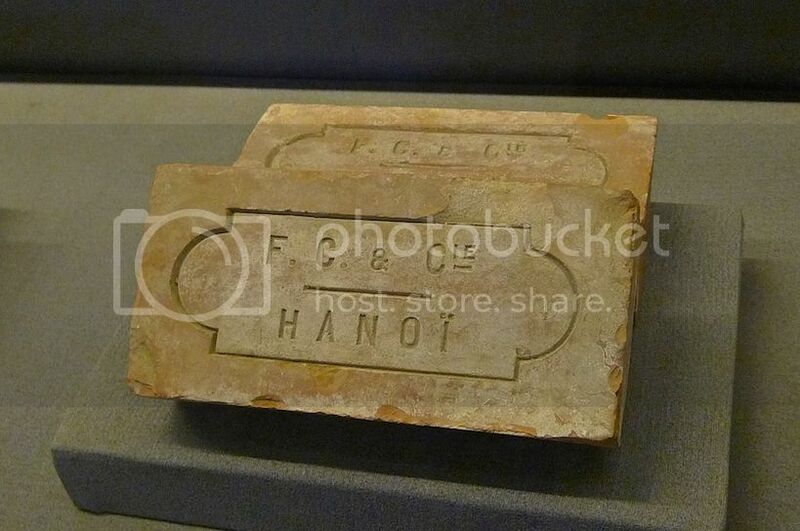 Below are displays of bricks used by the French colonists to build Hoa Lo Prison. It was reported that white rice given to prisoners were out of date, having parasite and very insipid. As a result, many prisoners suffered from heart oedema and as many as 40 prisoners died in a month. There was one part of my tour that was pretty creepy. 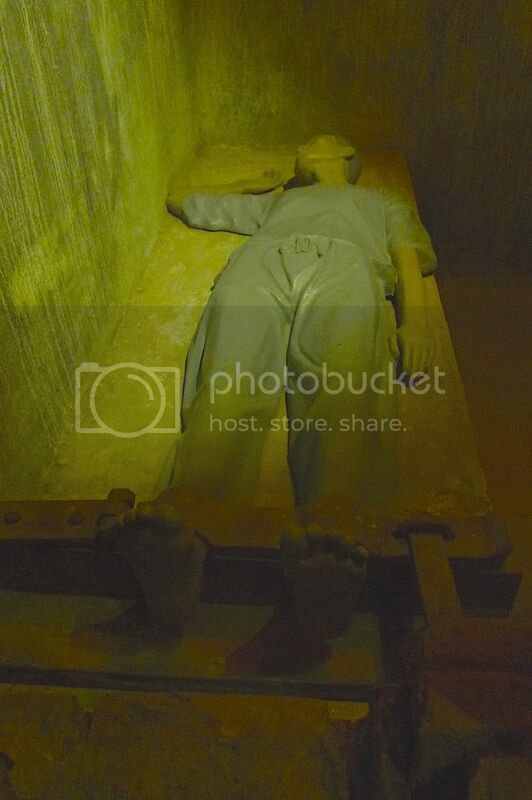 It involved dark cells and dismal rooms with life-like replicas of suffering prisoners. I was alone in this room and it gave me the chills. I quickly took some photos and got out of there. LOL! 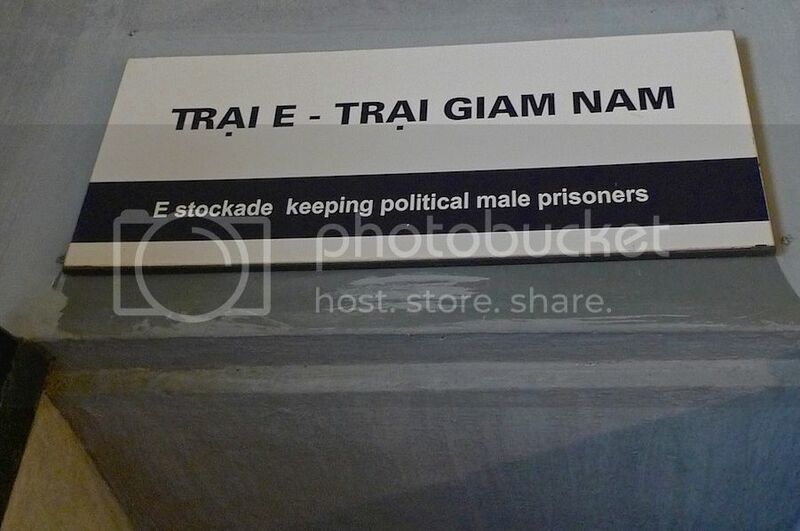 That's the stockade for keeping political male prisoners. 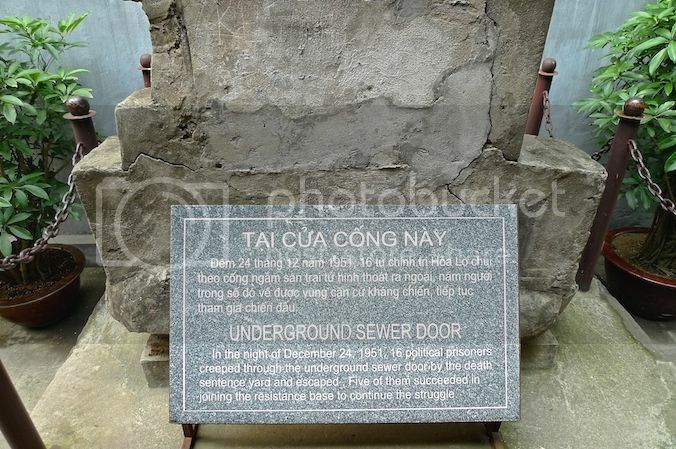 In the night of December 24, 1951, 16 political prisoners creeped through the underground sewer door by the death sentence yard and escaped. Five of them succeeded in joining the resistance base to continue the struggle. 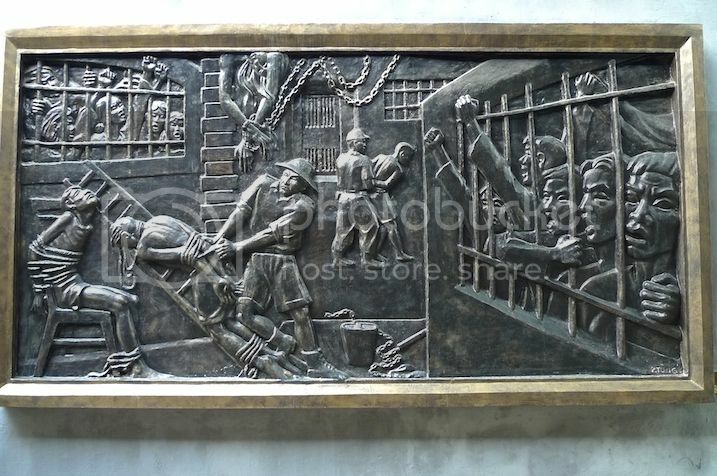 A picture on the wall showing an overcrowded prison and a torture in progress. 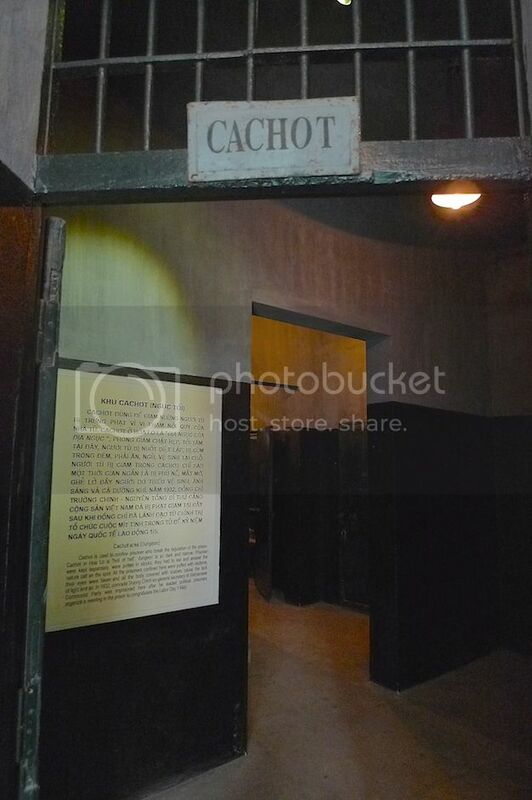 I reached the cachot area, which was another creepy place for me. 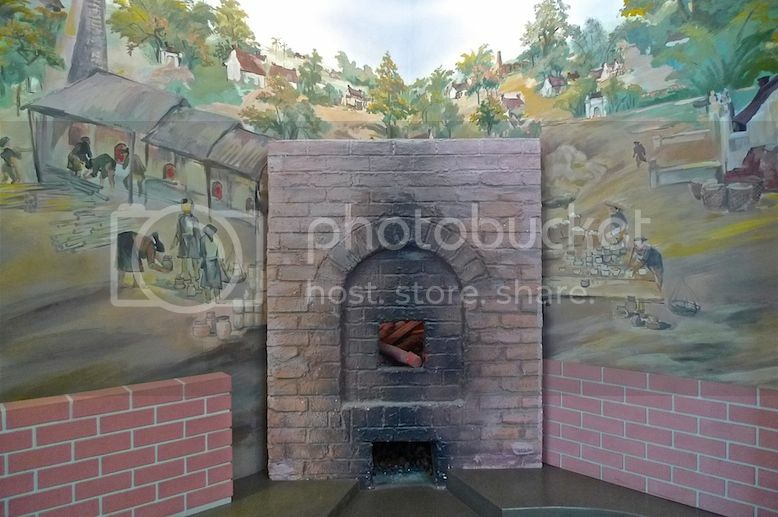 Cachot or dungeon is used to confine prisoners who break the regulations of the prison. The prisoners were kept separately and inhumanely in the narrow and dark dungeon and they had to eat and answer nature call on the same spot. All the prisoners confined here suffered from oedema, their bodies covered with scabies dues to the lack of light and air. 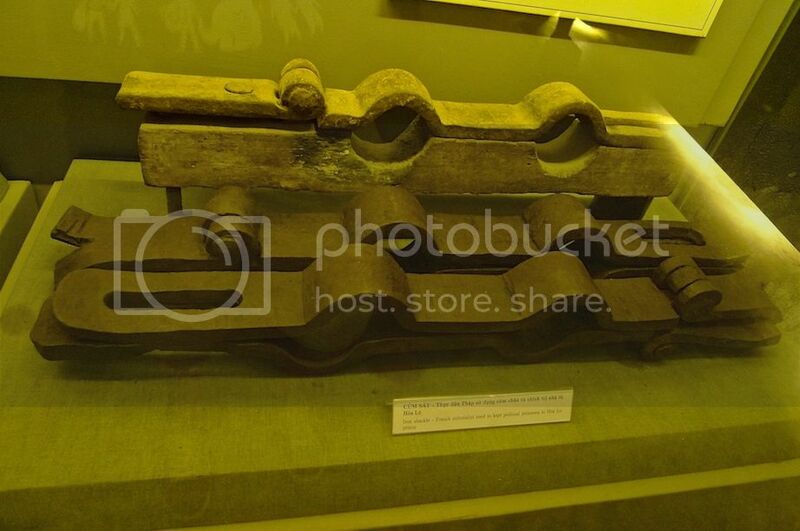 A display of one of those iron stocks used to lock prisoners' feet. I took the picture again without flash. 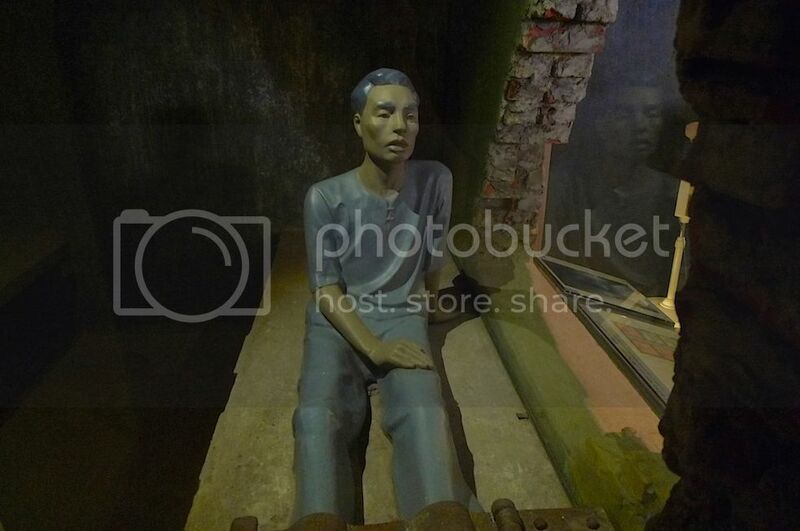 A life-size replica of a prisoner was lying inside the cell. 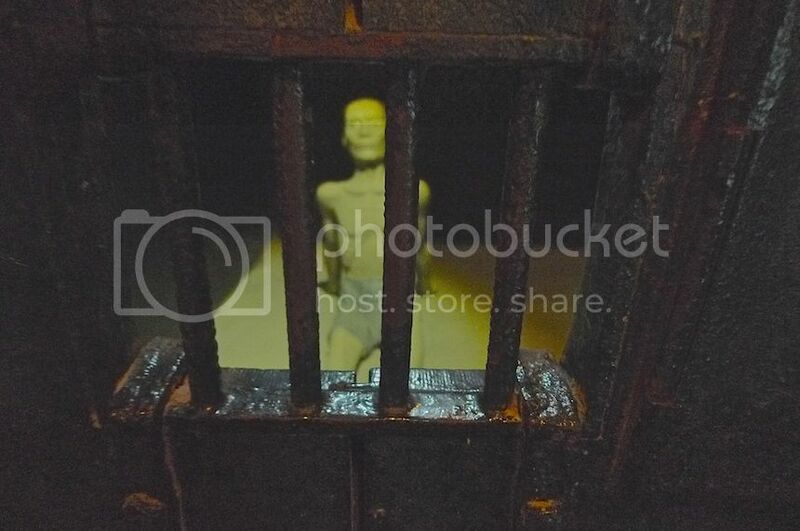 More creepy life-sized prisoners in the other cells. I had this urge to quickly leave the cachot area. There were not many visitors during my tour and I was separated from my friend at that time. I remember that at one point, there was a sudden, unexplained loud clanging sound above me and I made a quick run for the exit door. LOL! It was great to be outdoors in the sunshine again. Haha! 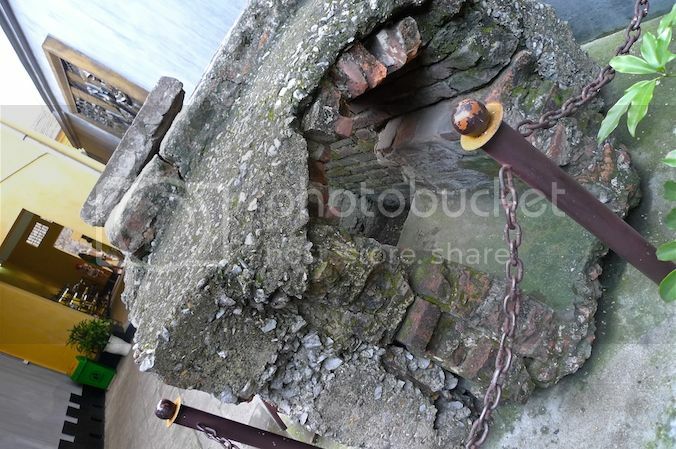 This is the underground sewer door through which over 100 political prisoners escaped in 1945. Here, I looked up and was surprised to see a tall, modern building towering over Ho Loa Prison. 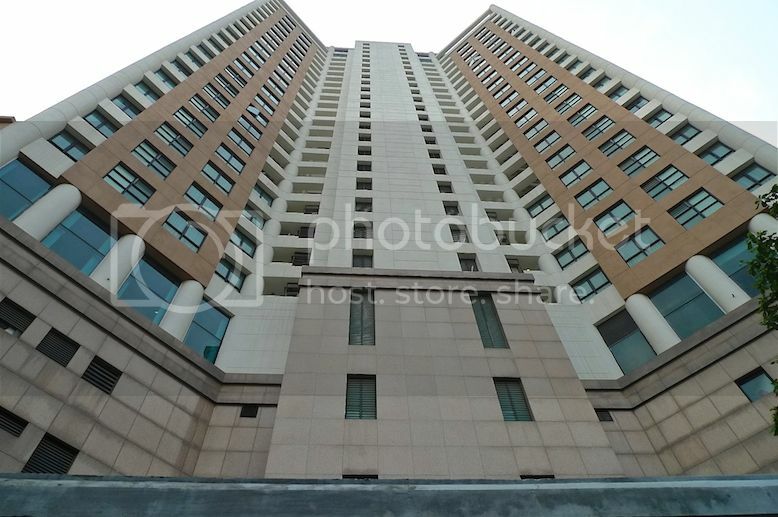 It was then I realized that a huge part of the original prison was destroyed by the Government and the land sold to developers to build this tall building known as Hanoi Towers. 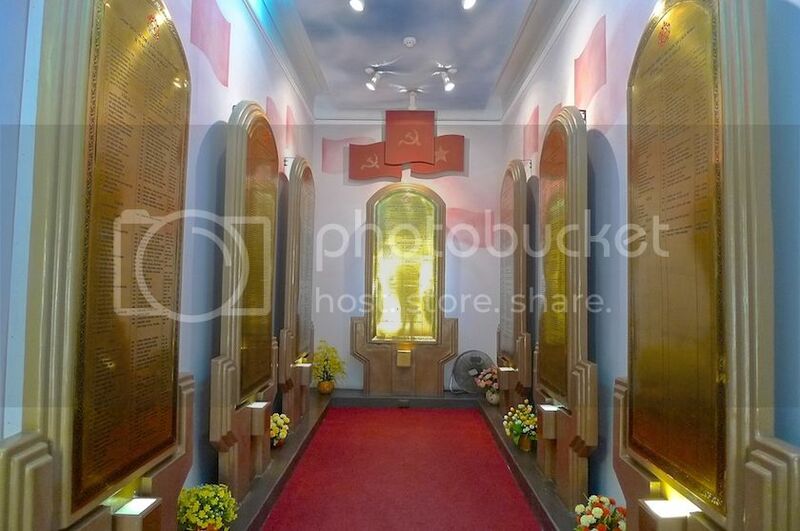 So the Hoa Lo Prison I was visiting was just a small portion of the original, preserved as a memorial and museum. Then I came to the Stockade area for female prisoners. Here, I reunited with my friend, so I was no longer alone. Many female patriotic revolutionary soldiers were arrested during the French occupation. 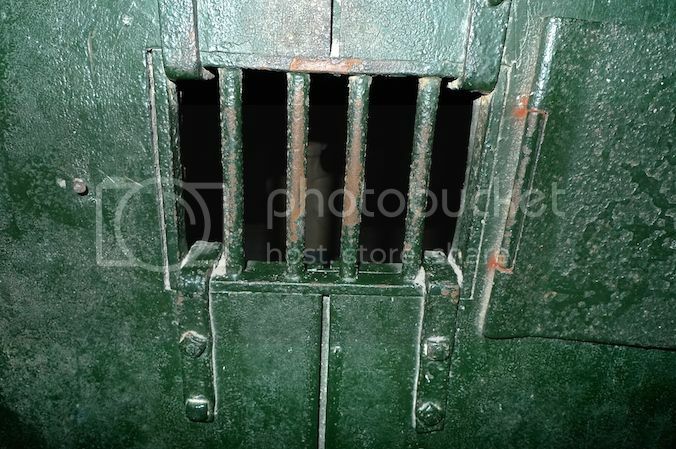 The lack of running water and unhygienic conditions in the stockades made life a living hell for these prisoners. 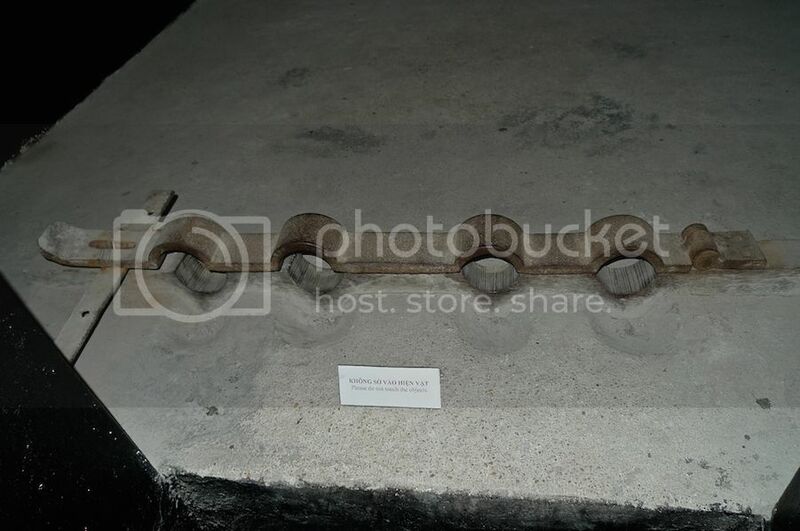 More displays of iron shackles. 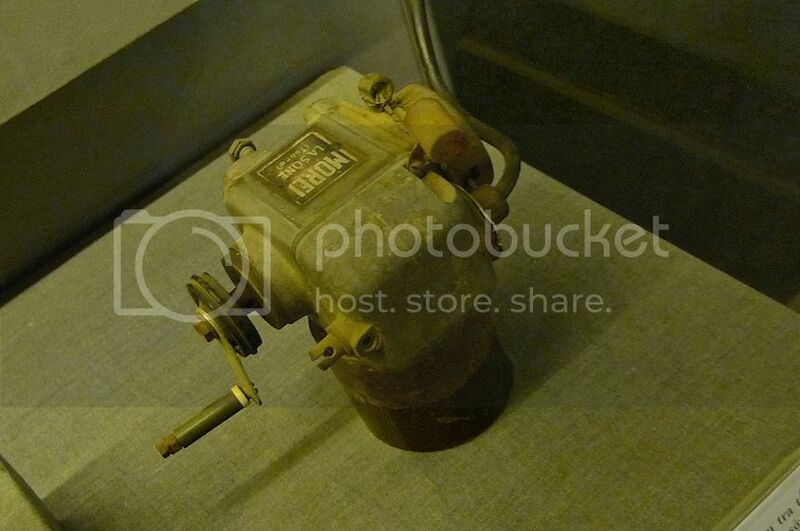 This is an electrical engine used by the French colonists to torture female political prisoners in the Detective Department. 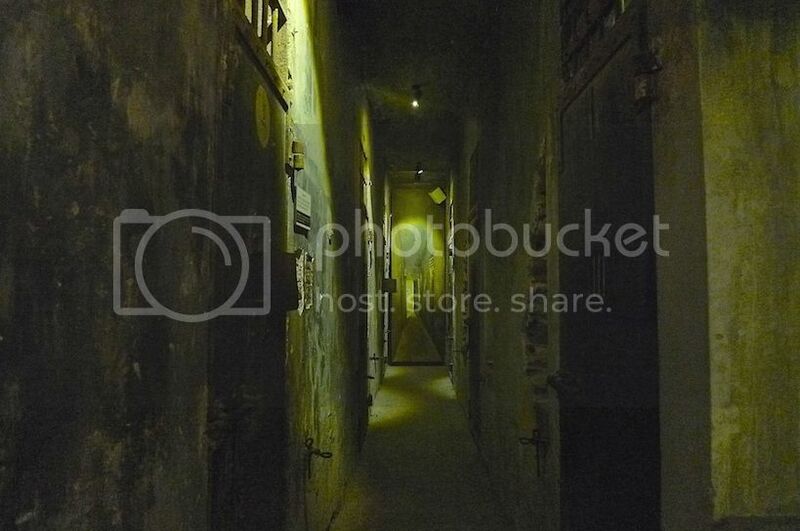 The many cells along the dark corridor. 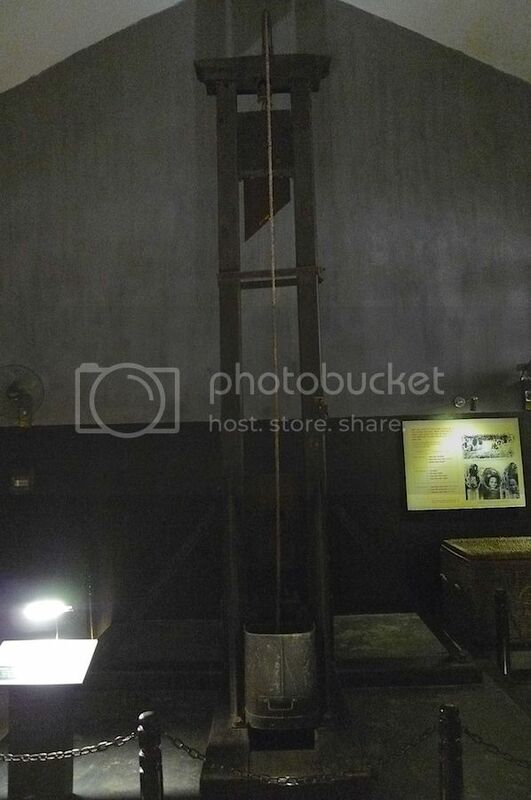 Finally, we came to the last gallery where one of the two guillotines used by the French colonists to cut off the heads of revolutionary patriotic prisoners in Hoa Lo Prison was displayed. 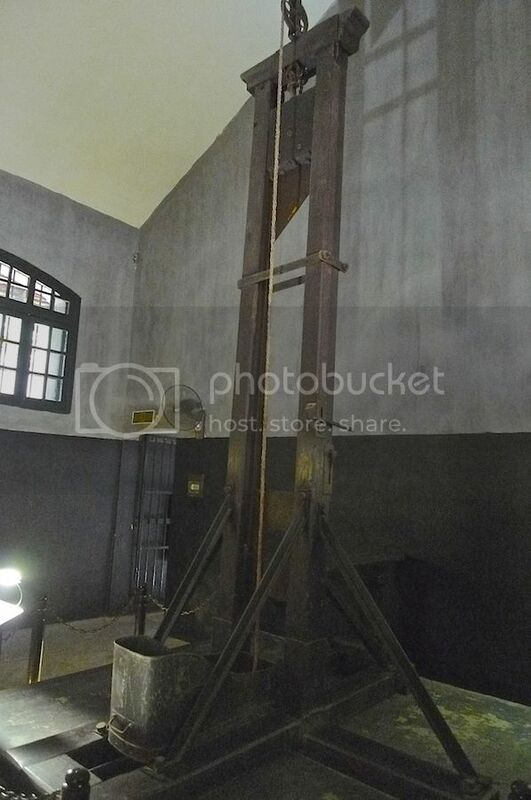 Cutting off the heads of political prisoners was one way taken by French colonists to terrorise the Vietnamese struggle movements. 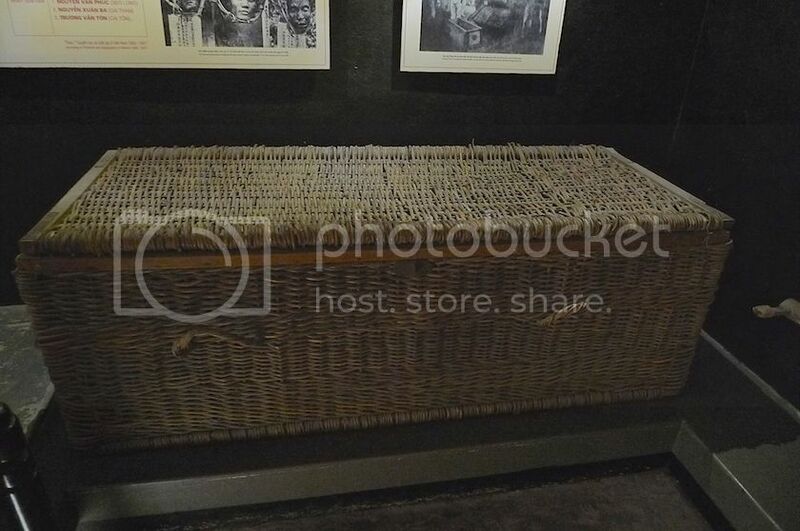 I am not very sure of the purpose of this rattan box, but I assume it was used to contain the heads, probably? 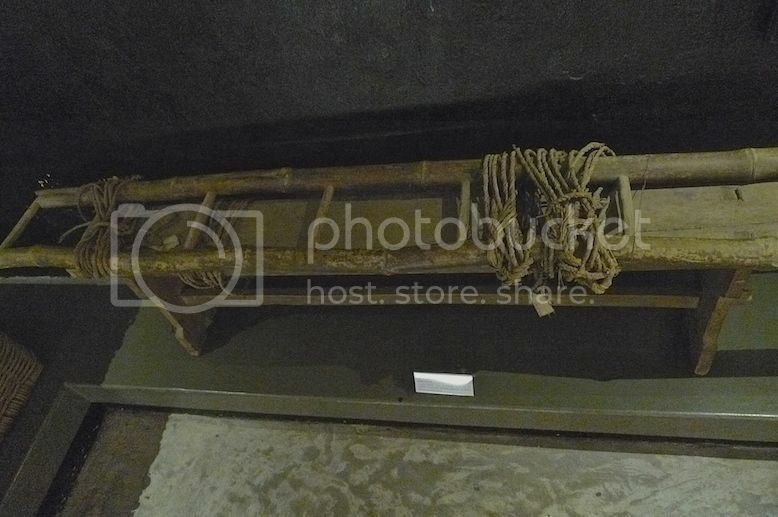 Bench, ladder and ropes used by the French colonists to torture political prisoners. Not sure what this picture is showing, but it does not seem to be very pleasant! 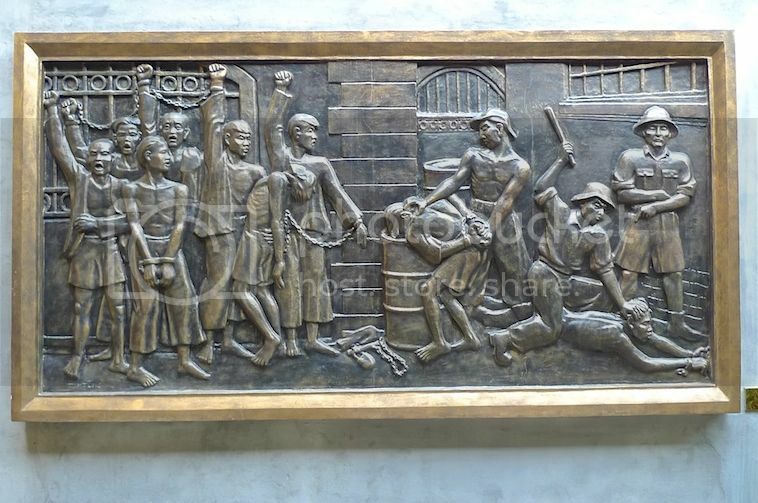 After the French was ousted in 1954, the Hoa Lo Prison was used to incarcerate anti-revolutionaries opposed to the Communist Party. 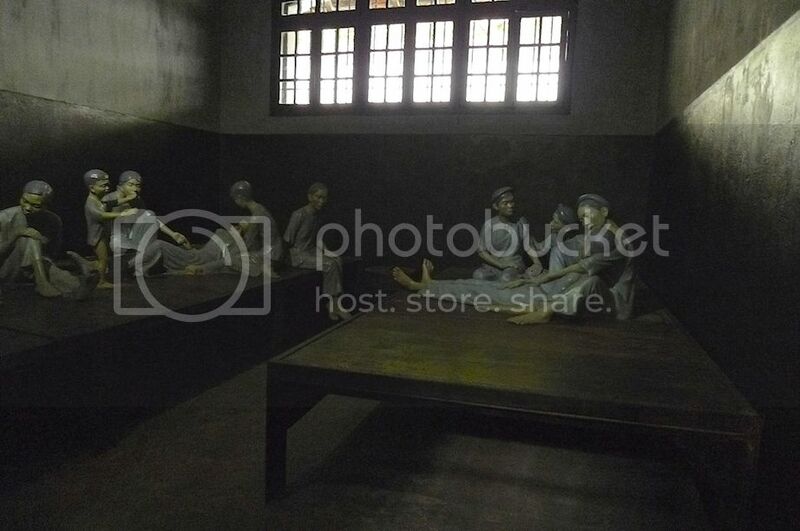 Later on, during the Vietnam War, Hoa Lo Prison was used to detain, torture and interrogate downed American pilots and soldiers. Although Vietnam maintained that the American prisoners were well-treated, many US Prisoners of War (POW) reported of torture, medical neglect, unsanitary conditions and being fed food contaminated with faeces. Many observers actually considered it a war crime. 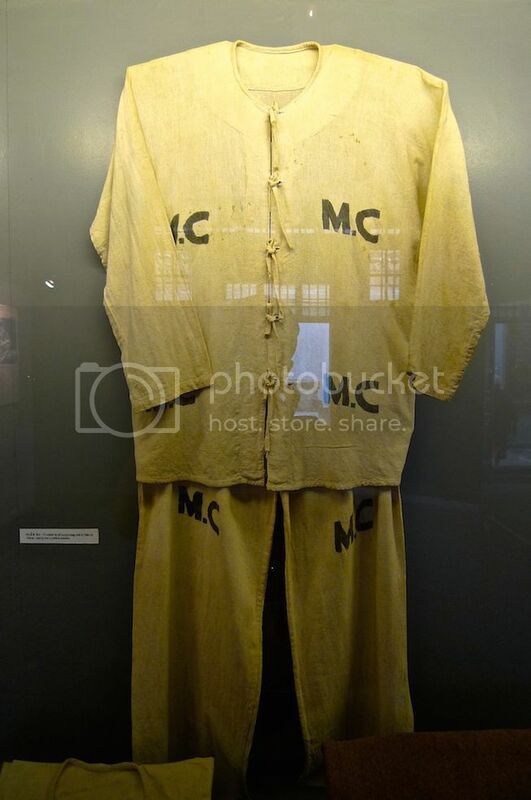 The condition was so bad that the American POWs sarcastically gave the prison a new name - Hanoi Hilton. This, of course refers to the famous Hilton hotel chain, but guess what? 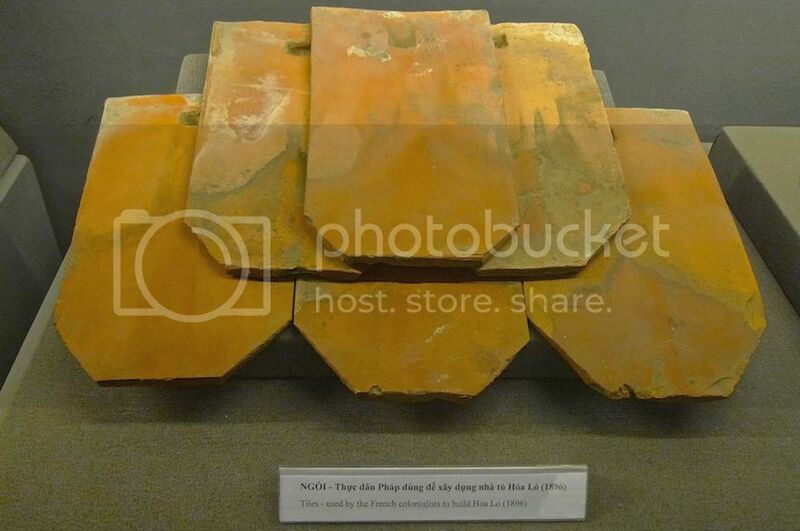 When Hilton Corporation finally opened a hotel in Hanoi in 1999, they had to give it a funny name - "The Hilton Hanoi Opera" - to avoid any link to Hanoi Hilton! 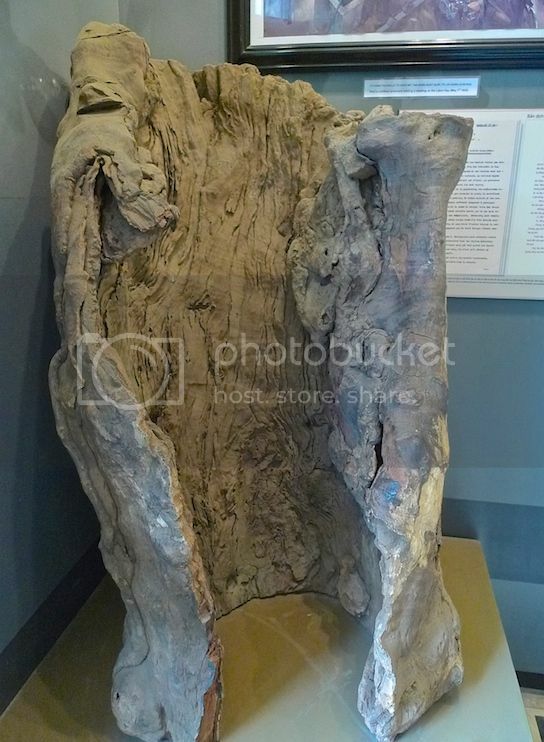 Since Vietnam had maintained that the American POWs were well-treated, I was not surprised to see that there were not much exhibits related to the Americans. 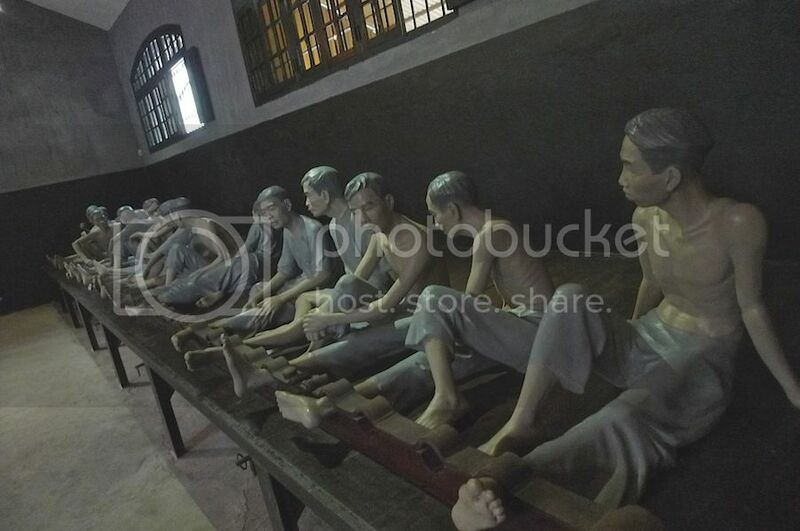 The museum was mainly focused on the French colonial period and the sufferings of the Vietnamese political prisoners. There is actually one propaganda-filled room devoted to the American POW but I did not take any picture of it. 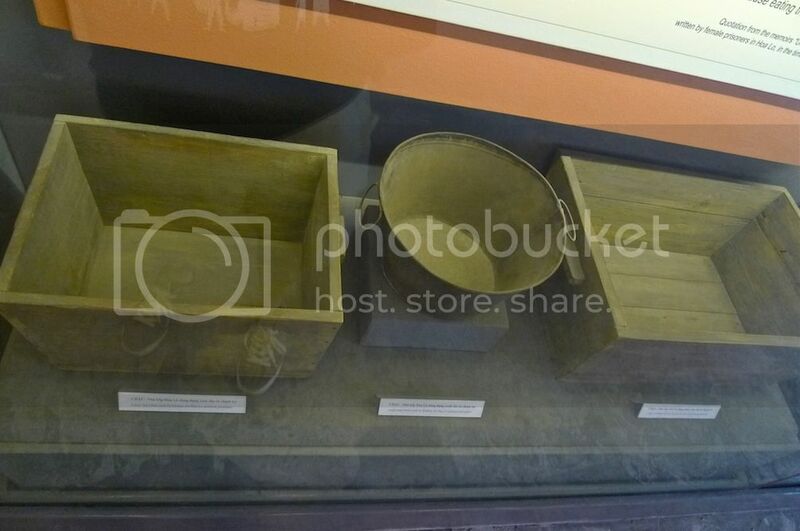 Displays in the room claimed the Americans were well treated and even cited the nickname 'Hanoi Hilton' as proof that prisoners found the prison comparable to a hotel! 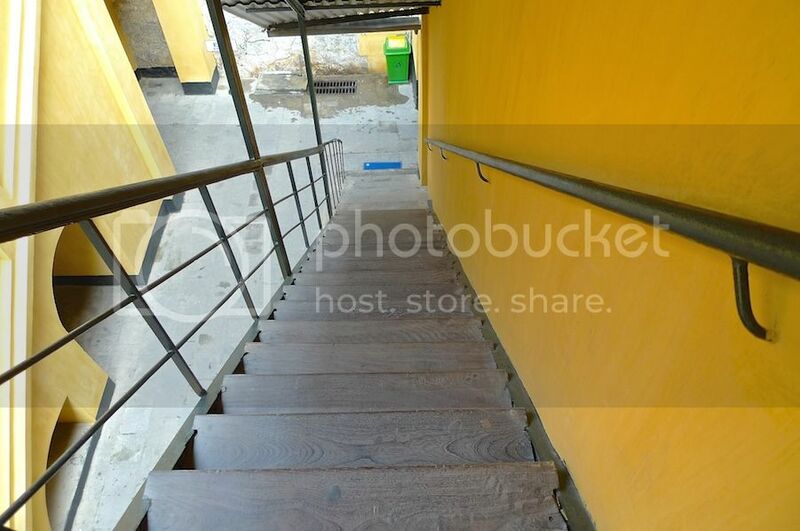 My friend and I walked up the stairs (the picture above shows the view from the top of the stairs) to the first floor. 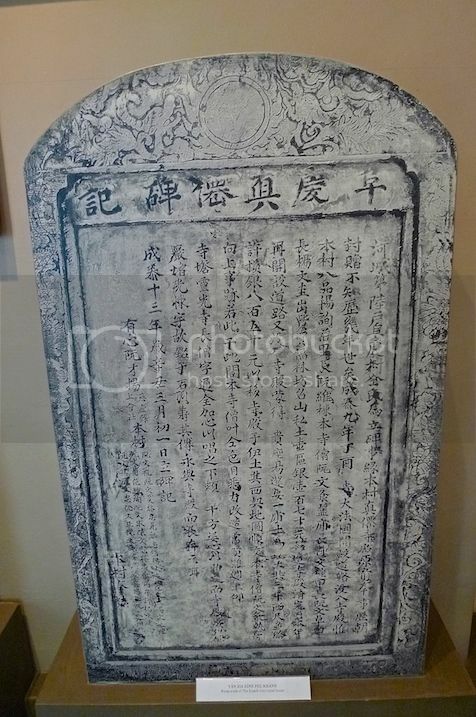 Here, the names of Vietnamese revolutionary patriots who were arrested and ill-treated by the French colonists were displayed. 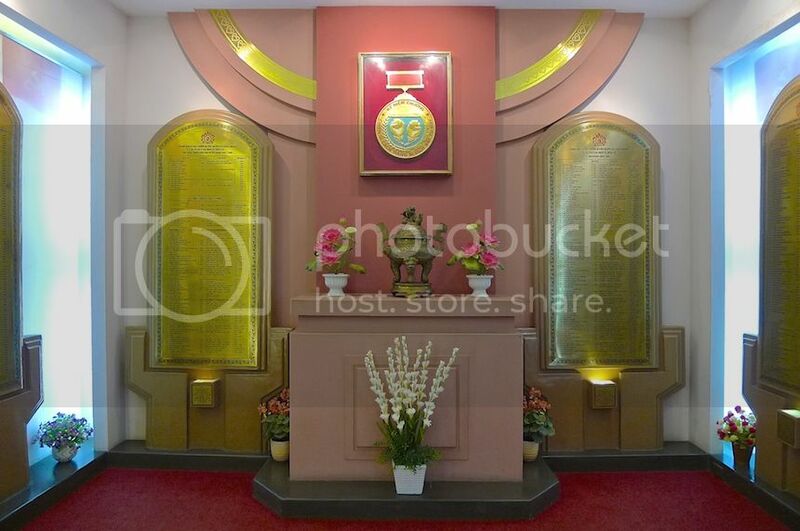 It was something like a memorial for the heroes and martyrs of the Vietnam people. 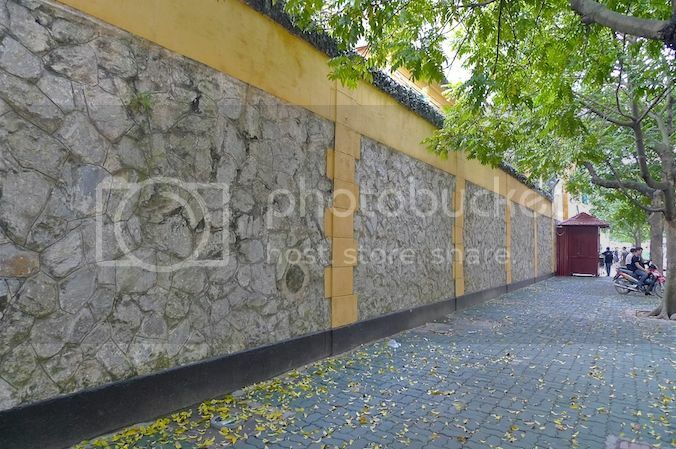 And this is almond root, in which Hoa Lo political prisoners used to hide documents for the revolution. 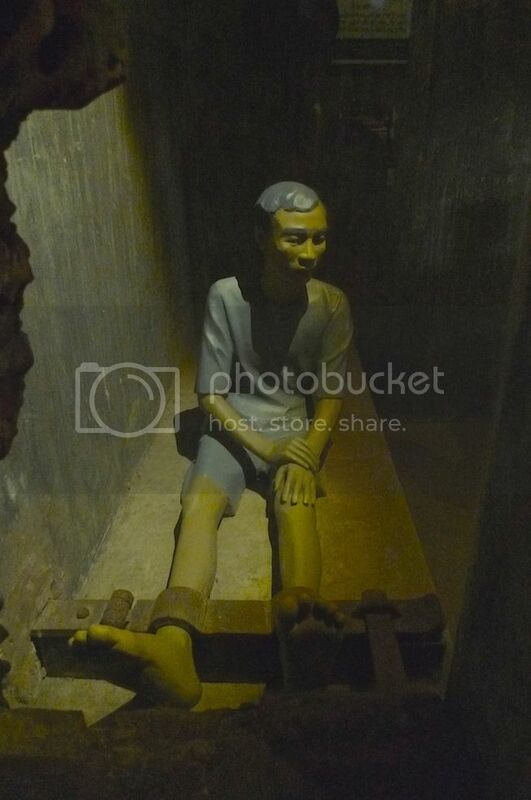 I have to say, my visit to Hoa Lo Prison was both interesting and creepy but well worth it! Definitely not a place you should skip in your itinerary if you are a first time visitor to Hanoi!